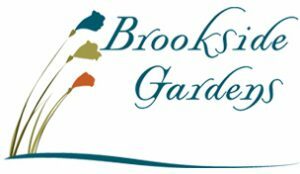 The word is out: Brookside Gardens Event Center in Berthoud is the perfect venue for your holiday parties, bridal showers, retreats, birthdays, fundraisers, corporate events, vow renewals, and more! Our team is dedicated to excellent service—with an excellent attitude. Because we only host one event at a time, we are focused on providing you and your guests the ultimate celebration experience. You get two hours of set-up time, five hours guest time and one hour of breakdown. We provide indoor and outdoor chairs, customized setup, glassware, and basic linen for up to 150 guests. Don’t miss Brookside Gardens Event Center at the Denver Bridal & Wedding Expo, Feb. 23 and 24 at the National Western Complex.